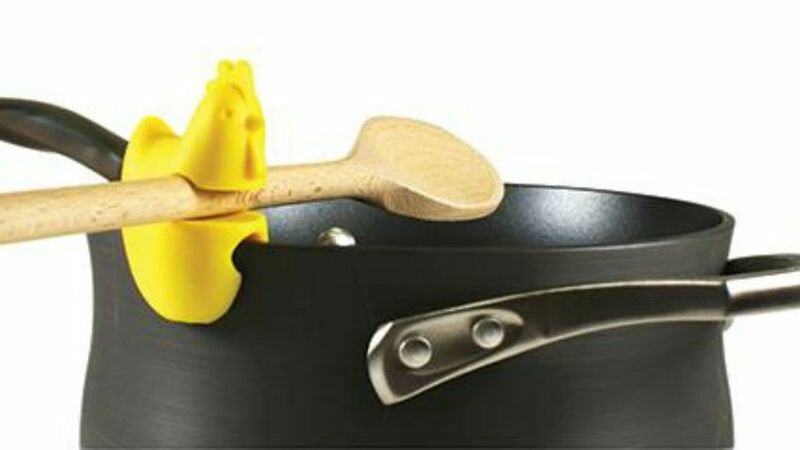 This interesting post will show you some gadgets that will make your cooking alot more fun and you will enjoy cooking. Use these gadgets and enjoy cooking and have fun. Here’s how this ice cream maker works: You put cream, sugar, vanilla and flavoring in one compartment, and ice and rock salt in the other. Then you play with it. And we thought there couldn’t be anything more fun than eating ice cream. You’ve probably never wished your sandwich could be cut into Tetris pieces, but that’s only because it seemed impossible. This easy-to-use sandwich cutter makes it a reality, one bite at a time. Whisks are pretty fun on their own, but we bet they’re even more fun when they’re rainbow-colored, like this whisk from Kuhn Rikon. This strawberry slicer makes slicing strawberries quick, easy and enjoyable. When you squeeze the handle, a strawberry will be cut into pieces by a blade inside the gadget’s special compartment. This french fry slicer makes up to 36 steak fries or 64 matchstick fries, depending on which of the interchangeable blades you choose. This tool makes manageable cubes of avocado with ease, so that you never have to have avocado-less meal again. Better known as “bowtie pasta,” farfalle also makes a great great shape for pot grips any pasta lover will love. The name “corn zipper” alone should make you want this gadget, but we imagine the corn tastes pretty good, too. These chili-shaped taco grips are festive and useful, both for filling tacos and for preventing spillage while you eat. Retro ice cream shops are in right now, so this baby blue ice cream scooper is perfect for jumping on the trend. This strawberry-shaped huller quickly removes the leaves and stems from strawberries, which you need to do before you do the absolutely necessary task of filling them with chocolate sauce. If The Lego Movie made you want to play with Legos again, these are for you. You can easily store them by snapping them on their Lego block hanger. The dumpling cube comes with a square pastry cutter for trimming your dough before you mold it into the classic half-moon dumpling shape. The cube opens and closes for easy storage. Having nowhere to put a spoon dripping in marina sauce is a problem. These farm animal clips (one chicken and one pig) are the solution to that problem. 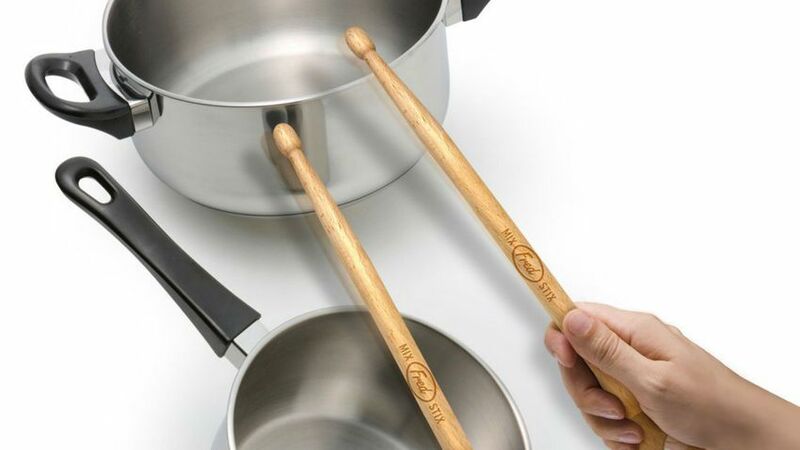 These stirring spoons double as drumsticks, because let’s be honest — banging on pots is still fun.